Have you ever noticed that energy boosting diet pills usually come with directions that tell you to take them first thing in the morning? Often, they’ll even recommend that you take them a half hour before you have your first meal of the day. Did you know there’s a reason that this recommendation is made? The timing with which you use energy boosting diet pills plays a significant role in the enjoyment you’ll get out of using them. 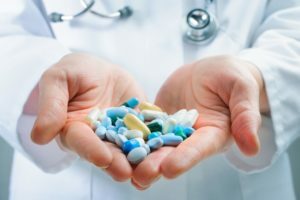 The best time to take the energy boosting diet pills you’ve purchased is the time written on the product package or that your doctor has recommended. Usually, products will say to take the pills first thing in the morning, and then again just before lunch. Others will say that the best time to take it is first thing in the morning and right before you do a workout. Equally, it’s very important not to take your pills too close together and not to take energy boosting diet pills close to your bedtime. Remember that the effects that can help you during the daytime will work against you at night when you want to sleep. Why Take Your Energy Boosting Diet Pills in the Morning? Getting your day started right is very important to your ability to keep up with a weight loss program. It means that you’ll be energized to do your workout first thing, if that’s your plan. It also means that you’ll be productive throughout your day so you’ll be able to keep up with your food choices. When you’re energized, you’re more likely to feel alert and focused. This is important for deciding what you’ll have for breakfast, lunch and dinner. When someone brings baked treats, donuts or pizza to the office, you’ll be able to decide whether it really is worth it to take part or if you should simply skip it and have the food you had the energy to prepare first thing in the morning after taking your pill. Keep in mind that your energy boosting diet pills won’t somehow make all your weight come off automatically. It’s up to you to take that energy and use it to build your new healthy lifestyle habits. Get to know when you’re at your highest energy levels from these pills and use that drive to make your meals, get through your workout and power through your day. Lately, blood flow restriction has started making itself into headlines of fitness magazine articles. It’s being mentioned increasingly on social media. The promise is that using this technique which is supposedly popular among physical trainers will help to improve result. That said, are trainers really using this technique? Among those who are, do they truly see benefits from blood flow restriction? Are those benefits worth the effort of the technique? What Does Blood Flow Restriction Promise? Blood flow restriction is a technique is called an innovative new way to get the very most out of a workout. Many believe that it will be the next big fitness trend, not just a fad making waves over social media. The concept behind blood flow restriction is far from new. It has been going in and out of popularity for a very long time. That said, trainers in small studios are now starting to recommend it for their own workouts. This is particularly popular in the United States, where it is touted as a technique to build muscle faster and with an improved recovery time. Blood flow restriction is also known as occlusion training. It is a technique that uses types of wraps or cuffs around an individual’s limbs – arms and/or legs – during exercise. The idea is to safely reduce venous blood flow from a muscle being worked. At the same time, arterial blood flow is allowed to continue. This technique is typically used during a low-intensity resistance training workout. By doing this, blood is not as able to escape the muscle. Moreover, the cellular swelling and metabolic stress rise sharply. As a result of these changes, muscle hypertrophy, growth hormone and muscle strength are all said to improve. As of yet, there hasn’t been a great deal of study on blood flow restriction techniques in fitness workouts. As a result, there is only anecdotal evidence to suggest that this technique is effective and that it has the potential to be safe. Therefore, many doctors are not recommending that individuals attempt to use this technique as the risks may not justify the types of benefits – if any – that may occur as a result of using it. Still, this isn’t stopping many trainers from recommending blood flow restriction to their own clients. If you are considering its use or if your trainer has recommended it to you, it’s a good idea to speak with a health care provider first. Claims about using coconut oil for weight loss are making their rounds once again through social media – or perhaps they never stopped. Though there was a sip in the trend after a Harvard scientist discounted many of the health claims made about this natural ingredient, it appears to have rebuilt itself and is going strong once again. Let’s take a closer look at the idea of using coconut oil for weight loss and what science has to say about it. At the very basic level of the claims regarding coconut oil for weight loss are medium-chain triglyceride (MCT) oils. Coconut oil contains a number of different types of fats but is a good source of MCTs. 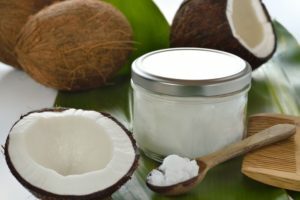 The majority of the claims linking the oil with body fat reduction have to do with MCTs instead of coconut oil itself. Should You Believe the Claims? The MCTs found in coconut oil may indeed help to support weight loss and body fat management. However, the idea of using coconut oil for weight loss remains highly controversial. Many people feel that by eating coconut oil as a part of their regular diet, they will improve their weight loss results. However, as mentioned earlier, the science behind such claims is based on MCT and MCT oil studies. They make the leap that coconut oil for weight loss is the same as using MCT oil, despite the fact that it is not the same thing. Although Coconut oil is considered to be a good natural source of MCTs, it still contains only small quantities of them, such as caprylic acid and capric acid. That said, about half of coconut oil’s fat content is lauric acid. Here is another area of controversy. While some would label lauric acid as an MCT, others feel that it is actually closer to a long chain triglyceride (LCT) or that it falls somewhere between MCTs and LCTs but is neither. There are 12 carbon atoms in lauric acid, while MCT oil usually has only 6 to 10 carbon atoms. If Coconut Oil for Weight Loss Works, Why is That? If you can use coconut oil for weight loss, it would be because of the MCTs present. Research shows that they help to boost the metabolism and raise satiety from food. That said, it is unlikely that adding a bit of the oil to your daily diet will make enough of a difference on its own that you will see it on the bathroom scale. Sleep has a great deal to do with your ability to lose weight faster. A lack of sleep can lead to a spectrum of problems that can make it much tougher for you to drop the pounds but much easier for you to build them on. Therefore, if you want to be able to more naturally control your calorie intake and prime your body to prevent unnecessarily packing on the pounds, changes to your sleep routine may be necessary. Instead of eating a tiny breakfast, a moderate sized lunch and a massive dinner – possibly with snacks in between and afterward – spread out your calories. Eating a similar-sized meal for breakfast, lunch and dinner, and having a light snack when you feel hungry can help to keep your metabolism running. 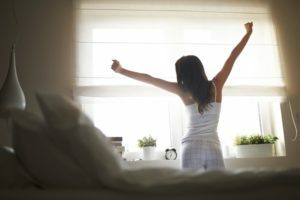 It will also make sure you have energy throughout the day as opposed to giving yourself the best dose of calorie-based energy right before you’re supposed to start winding down for bed. Just as going to bed with too much food in your stomach isn’t recommended, you can also lose weight faster by avoiding being too hungry. Too little food can interrupt your sleep. Have a light snack before bed if you feel hungry. This will help you to feel more content, comfortable and restful. 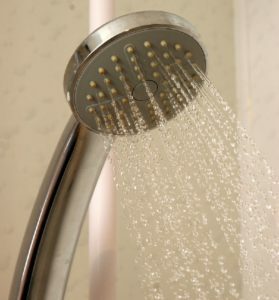 Taking a quick shower can refresh your body after a long day. It can release muscular aches and pains and the warm temperature is relaxing overall. The steam can make it easier to breathe, and as you build a calming routine of showering before bed, it will help to naturally wind you down for improved sleep to lose weight faster. Many people confuse this step to lose weight faster because it does make you tired. However, just as alcohol makes you sleepy, it also reduces the quality of your sleep. When you drink it, you’re more likely to be restless and wakeful during the night, even if you originally fell asleep quickly. An hour before bedtime, dim the lights in the room and stop using devices with screens such as a TV, phone, tablet or computer. This light reduces melatonin production, which makes it harder for you to fall asleep on a regular schedule. Dimming the lights therefore helps you lose weight faster. Losing weight when you’re busy is more than just a challenge. It can feel downright impossible at times. After all, when you’re already struggling to fit everything into your life, it’s hard to think of adding more. The process of losing weight when you’re busy involves the same requirements as it would if you had lots of time. You will likely need to make changes to what you eat and improvements to your activity level. You may also need to take the time to work on your stress levels and improve your sleep quality and length. These are all factors that traditionally need time. When you don’t have time, it can feel as though fat loss simply isn’t available to you. You may be considering turning to diet pills for losing weight when you’re busy. This can be a very helpful idea, but only if you’re using them properly. All too often, people build the wrong expectations about what weight management pills can do for them. This only leads to disappointment. Don’t make the mistake of believing that diet pills will do the work of losing weight when you’re busy without your needing to participate. These products won’t make fat miraculously disappear from your body, no matter what they claim. They won’t melt fat away. Moreover, they won’t make it possible for you to skip making any changes to your lifestyle. Instead, they can be the key to losing weight when you’re busy by reducing or removing your obstacles. The right diet pills are designed to help give you an advantage over your weight loss strategy, not do the work for you. Losing weight when you’re busy still requires you to eat right and exercise. That said, when your pill gives you added energy for improved focus, alertness and performance, that challenge becomes a much easier. Increased energy means you can get through your busy day and still have the drive to get to your workout, too. It also means that while you are exercising, fatigue won’t slow you down. Instead, you’ll plow through your fat-burning workout at your very best. Equally, it will improve your alertness so you can stay on top of your diet and make smart food choices. Even better, when you’re feeling awake, you won’t fall victim to exhaustion-based fatty, sugary or salty food cravings. Losing weight is hard. That’s no real mystery to anyone. After all, obesity is at an all time high in the United States. It’s not because people don’t want to drop the pounds. It’s because it can be quite difficult to do so. According to research, there are some very specific reasons that losing weight is hard. There are times when it can feel as though your body is working against you. Science shows that in certain ways, that is actually the truth. Losing weight is hard because your own body can start to fight against the efforts you’re making. The reason is that your body doesn’t know it’s overweight or obese and doesn’t know that losing weight will lead to improved overall health. It doesn’t know that losing weight can reduce the risk of a number of different types of chronic illness. What your body knows is that you’re suddenly eating less. The body responds to fewer calories by triggering certain hormones that can lead to weight gain. 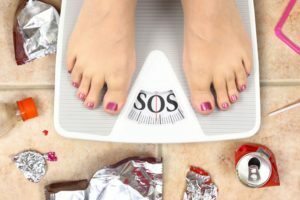 This is problematic because one of the things most people need to do in order to lose weight is to reduce the number of calories they eat on an average. It also explains why it’s not just a matter of willpower to be able to successfully reduce the number of daily calories you’re eating. The body is actually working hard to try to convince you to do the exact opposite of what your doctor has recommended. 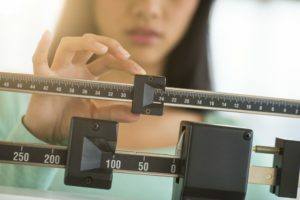 The key to overcoming the challenge that losing weight is hard has to do with understanding your body’s reaction and working with it instead of against it. If drastically reducing calories makes you hungry, it’s possible to learn about the types of foods that help to fill you up without overdoing it with your calories. For instance, by eating a better balance of macronutrients and improving your fiber intake, you can fill your stomach and use slow-release energy that will last longer and keep you from experiencing powerful hunger pangs or cravings. It’s for this reason that starvation diets and extreme diets typically fail. The body’s design will resist them and work against them. Instead, the more successful strategies will frequently involve long-term balanced eating with careful focus on learning how to eat flavorful, filling foods. It will also usually require additional exercise in order to burn off more calories and body fat. There are fads that come and go but some fitness trends withstand the test of time because of the positive impact they can have. That said, spotting them can be challenging. It can be difficult to know the difference between something helpful and that you’ll keep up for a while, or something that is all claims and no results. To help you find out what’s right for you, we’ve talked to the experts. Here are what some of them said are the best fitness trends for 2019. Sure, you’re likely not surprised to see that fitness trackers have made it into the top fitness trends list again this year. Now that they’re pretty much ubiquitous, these gadgets are more important than ever. This is especially true as a growing number of brands offer increasingly accurate, convenient and affordable options. Moreover, technology is coming further along and is being incorporated into more attractive options as well as waterproof products. High Intensity Interval Training is a style of workout that was first popular in 2014 and has continued to climb the list in fitness trends. Last year, it took the top spot and there’s no mystery why. This strategy lets you use short bursts of high intensity exercise and periods of low intensity exercise or rest. This can give you the same results as a longer workout in a fraction of the time. 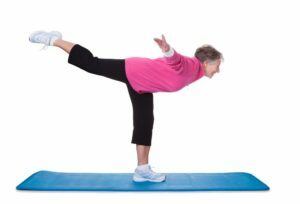 Seniors are carving out some of the leading fitness trends this year. As the Baby Boomer generation enjoys its retirement, it isn’t interested in aging like past generations. They want to stay active, enjoy this part of their lives, keep up heart health, maintain bone density and take in the other rewards of a regularly active lifestyle. Seniors fitness includes everything from gentle yoga, aquafit and tai chi to certain types of boot camp, group running and spin classes. Though the popular expression in previous years has been that food is medicine, this year’s fitness trends have taken over. Now, food is joined by exercise as medicine. In 2019, self-care is topping the trends and using food, exercise, and sleep for mental and physical health are becoming a rising priority in our lives. It’s easy to understand why this trend is taking off as the results from regular activity are quick and easy to feel and see. Wouldn’t it be great if you could use something to support your weight loss and make your food and drinks taste better, too? See where this is going? Of course, you do. You read the title. There are lots of herbs that don’t just taste delicious but that can also help to give your weight control efforts an added advantage. That said, there are some herbs that are truly top performers to support your weight loss when compared to others. Consider the following herbs the next time you write your grocery list. Ginseng is a top herb to support your weight loss. It has been popular in certain traditional medicines in specific parts of the world for centuries. However, over recent years this herb has become considerably more popular. It has become commonplace to drink ginseng tea for a range of benefits, such as helping with weight loss through mild appetite suppressing effects. However, it’s important to keep in mind that an herb on its own won’t be enough to lead to pounds lost on the bathroom scale. Instead, use this to support your weight loss by using this ingredient to help you as you control your calorie intake and exercise regularly. Of course, if ginseng isn’t your cup of tea, considering using fresh or dried ginseng root as an ingredient in your soup. Peppermint may be commonly associated with gum or toothpaste flavors, but the fresh herb is great to support your weight loss. Like with ginseng, peppermint doesn’t help with weight control directly as much as by providing extra help to the efforts you’re already making. Drinking peppermint as a tea, you can settle an upset stomach, control your appetite and beat unwanted food cravings. This ingredient can have a fast and powerful effect. It is highly refreshing which can make it feel easier to face your workouts and be prepared for the active side of your weight management strategy. Oregano is practically synonymous with Italian food. 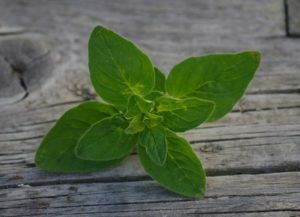 It’s in spaghetti sauce and pizza, but fresh oregano is also a top herb to support your weight loss. It boosts the flavor of your food but also acts as an appetite suppressant and mild diuretic. It also contains carvacrol, a naturally occurring active substance that may help the body to burn visceral fat. 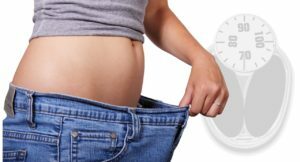 Naturally the effect is not powerful enough to simply eat oregano and see results on the scale, but every little bit counts in boosting the impact of the efforts you’re already making.